I did a pastel sketch of this tree grouping about two months ago and started this oil shortly after. 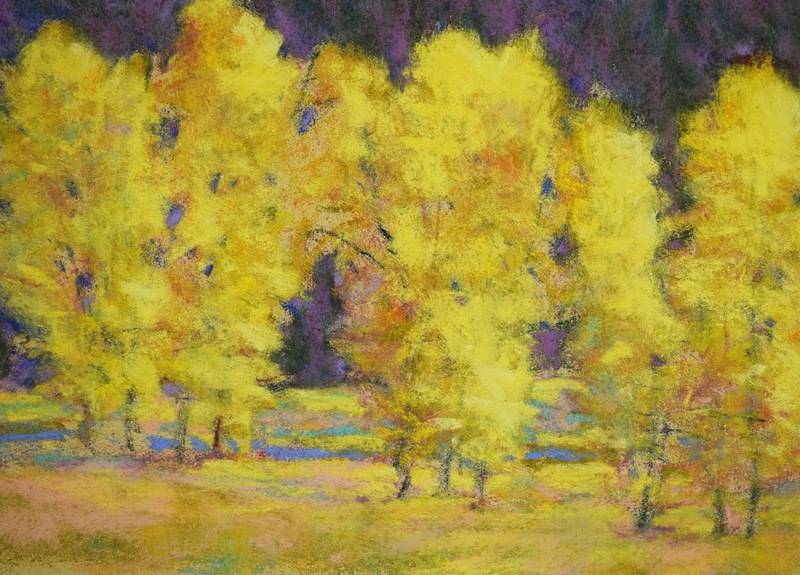 The best way to describe this is by saying it's a composition in yellow using cottonwood trees as a starting point. The pastel was more about what the cottonwoods looked like and in this oil, I focused on what the yellows can do. 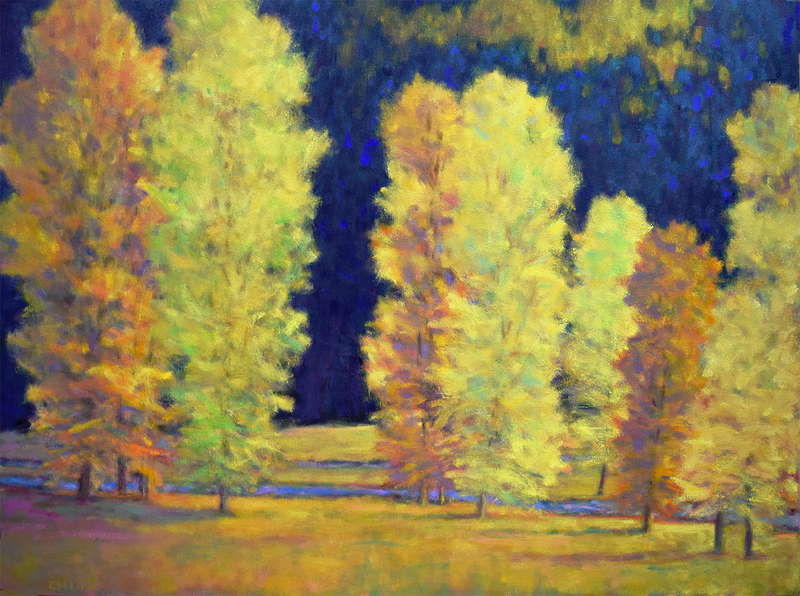 Everything in the painting is about setting up the those brightest, glowing spots in the trees. Every part of this oil has it's own life and vitality regardless of the color or brightness. As it emerged, it became more complicated than I expected but I enjoyed the challenge. After a number of adjustments, the background was still off with too much darkness in the back. I tried a number of color variations but it was still lacking something. Finally, I came up with the idea of adding more yellows at the upper-right, giving the background more depth and interest and the entire composition came together in a more interesting way. I'm looking forward to more variations of this idea because you never know what can happen when you follow the needs of the oil instead of the source material.